I can’t remember if I thanked you for posting the free printable of the Children’s Keepsake Record. I was the one who inquired about it, so thank you. That leads me to another question for you. I read that you do a scrapbook for each of your kids. 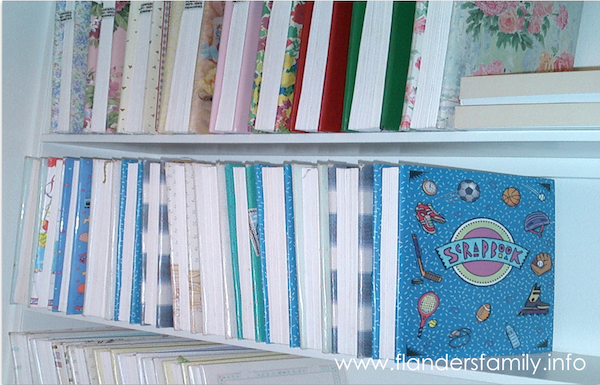 That’s a lot of scrapbooks :)! Would you mind explaining how you do it? I have 3 small boys and need to also catch up on my scrapbooking, but I want to figure out how I am going to do it first. I know I want to do a first year book for each of them, but after that I can’t decide if I want to just do one family album with significant events chronologically throughout the year in one book. I realize that will be a problem when I am dead and gone, because who will get the books? I just want to have all my ducks in a row before I get going on all my pages and have a plan before it is too late and I need to backtrack and make more albums. I’ve heard those same questions from lots of readers now, so I’m going to do my best to answer them without making my method sound more difficult than it actually is. Yes, I do keep a scrapbook for each of our twelve children. Actually, they all have a set of scrapbooks, with each volume typically holding 2-3 years’ worth of photos and mementos. That means I probably have even more scrapbooks than you were imagining! I also keep a set of “family” scrapbooks. When our third child was born, it struck me that my kids would eventually grow up and leave home, taking their scrapbooks with them, so I also decided to preserve our family memories in a set of scrapbooks that my husband and I would be able to keep once our nest was empty. Getting a plan and a system down early does save time later — and you’re smart to be thinking about all those things now while your children are so young — but my strategies will work even for folks who’ve never scrapbooked before, feel hopelessly behind, and have no idea where to begin. 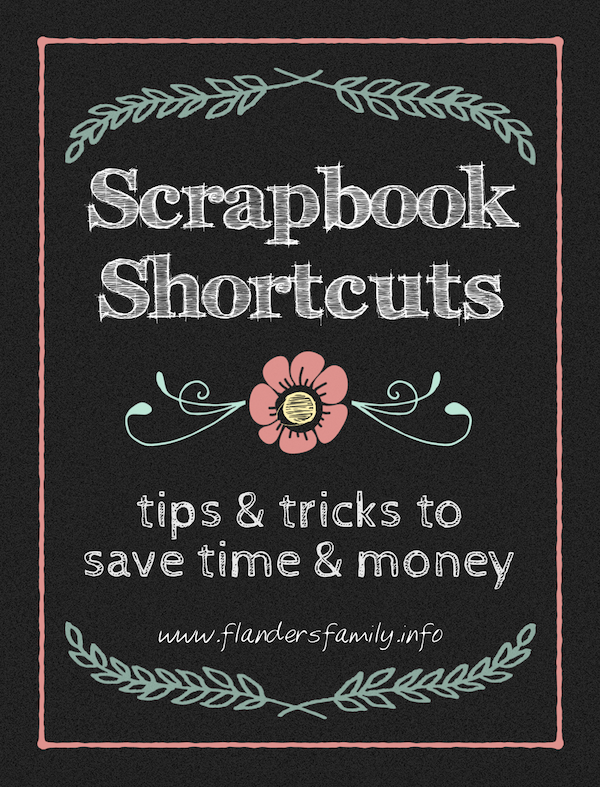 After decades and decades of faithfully scrapbooking our lives, I’ve developed lots of shortcuts for saving both time and money. In the meantime, you can start getting ready by gathering all the photos and mementos you want to include in your scrapbook in one place. If it’s just a little, put it in a file folder until Thursday. If it’s a lot, toss it into a box. We’ll start sorting through everything together later this week, and before you know it, you’ll have a beautiful keepsake album you and your children can enjoy for years to come!